I desperately needed relief from the pain of a nerve trapped in a partially depressed portion of my lower spine. 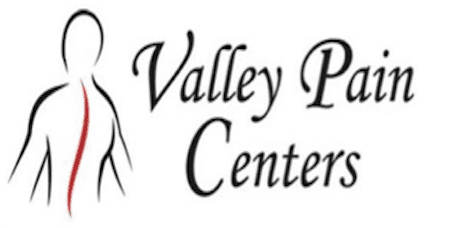 Called Valley Spine Center, briefly described my problem as best knew it, and got an appointment for the following day with Dr. Knighton. He listened carefully to my descri- ption of the pain and its apparent location. A short time later I was ushered into a treatment room, was greeted by another doctor, laid on a pallet and given three painless injections. That was that. Took a couple days for the medicine to take full effect but, oh my, what a relief it is! I just want to give a big thank you to Dr Walker, Dr Nielson and Dr James. You all are amazing. I went in for my first MUA and I was scared as hell. But you all made me feel so calm. It went well and I'm feeling alot better today. I also want to thank the staff at VPC your all amazing to. Tiffany your the bomb at Iv's. Again thank you all. There are not words sufficient to express my gratitude to Dr. Walker, Dr. Lynn and the entire staff. They make you feel comfortable, the are kind, funny, with a great bedside manner. They are all truly vested in the well being of their patients and have gone over and above any expectation I've had. Every medical office should strive to be like this one. Dr. Moshiri and the entire staff have been kind, friendly, patient, thorough and truly have an interest in helping me get well. So glad to have been referred to this office! Highly recommend! Very happy with the Dr. & staff. Dr. Was patient & took the time to discuss my problem.